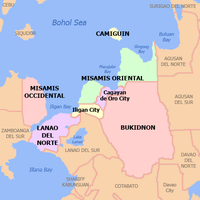 The main airport is Laguindingan International Airport, located in the municipality of Laguindingan, Misamis Oriental, which opened on June 15, 2013, the airport replaced Lumbia Airport as the main airport of Misamis Oriental and Northern Mindanao. 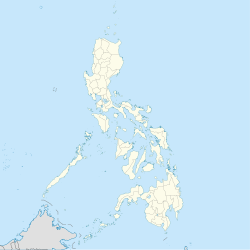 It has daily commercial flights to and from Manila, Cebu, Davao, Zamboanga, Tagbilaran, Iloilo, Bacolod, Caticlan, Dumaguete and Clark via Philippine Airlines and Cebu Pacific. This page was last edited on 22 April 2019, at 13:45 (UTC).